Everything about Led Zeppelin was larger than life: their music, their live shows, their stage outfits, their road excesses, and their manager. Like most great bands Zeppelin was guided by an effective manager, but in their case Peter Grant was anything but ordinary. For years Grant has been shrouded in as much mystery and mythology as the band he steered, known to fans mainly as an imposing gangster-like mountain of a man who was not to be crossed. Other than a scene in the band's film The Song Remains the Same where he's shown berating a promoter for allowing the sale of bootleg Zeppelin posters, what little fans knew of Grant was via the occasional photograph or interview. 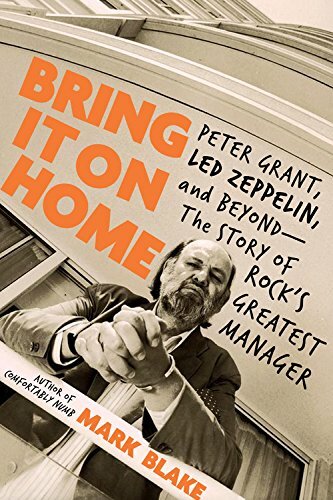 In the new book Bring It On Home, author Mark Blake aims to tell the real story of one of rock music's most notorious, influential, and misunderstood managers. Mark Blake has written two of my band biographies, both of which I've reviewed previously on this site: Pretend You're In a War: The Who in the Sixties and Comfortably Numb: The Inside Story of Pink Floyd, so when I heard about his new Peter Grant book I knew I had to check out it. Written with the cooperation of Peter Grant's estate and his two children Helen and Warren, Bring It On Home aimed to pull back the curtain, sift through fact and myth, and show who Peter Grant really was. With access to Grant's archives and extensive interviews with his children, colleagues, friends, and drawing on multiple interviews Blake has conducted with the members of Led Zeppelin over the years, Bring It On Home does exactly what it was intended to do. Beginning with Grant's birth in pre-World War II London and his hardscrabble childhood, we learn about the family history that Grant spent his entire life hiding from everybody. After leaving school at fifteen, he worked various odd jobs including his first forays into show business by working the curtain at the Croydon Empire during the waning days of variety shows and the birth of rock and roll. After starting his own business driving musicians around to their appearances, Grant made his first steps into management with a handful of different pop groups throughout the early 1960s This eventually led him to the Yardbirds who Grant took over around 1967. It was also around this time that he started a joint management business and record label with producer Mickie Most. However, Grant was always smart enough to know that he knew nothing about music. What he did know was how to negotiate on behalf of his clients and how to get his way whether it was via negotiating or some other more persuasive techniques. During his early years Grant spent a lot of time watching and learning from the top impresarios of the day including the notorious Don Arden. By the time he took on the Yardbirds, he was able to improve their income while taking note of how much better their fortunes on the underground live circuit was in America versus how they fared on the British charts. In working with the Yardbirds, he also met the musician he would nurture and cater to for the remainder of his career, Jimmy Page. Out of the ashes of the Yardbirds rose the newly formed Led Zeppelin in 1968; the rest is history at least in terms of their career and it's a story that's been told numerous times by me and others. While I won't rehash it here, what Blake shows in his book is that Grant applied many of the tactics and strategies he picked up along the way in his formative years while pioneering new ones for better or for worse. Bring It On Home doesn't shy away from discussing some of the more unsavory aspects of Grant's and Zeppelin's career including the drug use, the violence, and the tragedy. What the book does extremely well and which elevates it above a merely salacious tell-all is that the author also attempts to separate fact from myth to spell out the truth about Grant and his methods. Some of the most notorious Peter Grant stories are confirmed while others are corrected or dispelled. What's apparent reading through the book is that nearly everyone who befriended or worked with him for the most part remembers him fondly despite his flaws. 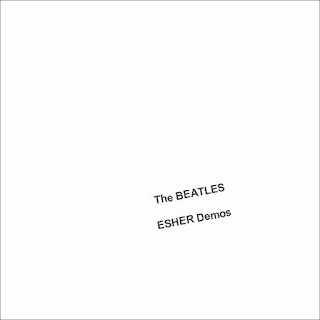 What's undeniable is that he greatly improved working conditions and earnings for musicians with the numerous innovations he pioneered during Led Zeppelin's career. From demanding and getting a larger percentage of the take from ticket sales (90%!) to Led Zeppelin having complete ownership and control of their recordings and everything in between, much of what is taken for granted now in the music business is due to Peter Grant. Bring It On Home does a great job describing all of this as the backdrop to his life. 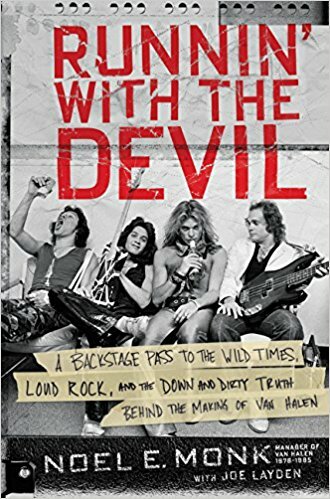 There are even new tidbits of the Led Zeppelin story including insight on his relationships with Page, Robert Plant, John Paul Jones, and John Bonham. The story of Grant's life in the wake of John Bonham's death in September 1980 and the dissolution of Led Zeppelin is both poignant and enlightening as it somewhat confirms the conventional wisdom that he was a hermit from the public eye while showing that to his friends and family, Grant was more accessible as he simplified his lifestyle and improved his health. His untimely sudden death in 1995 ended his life but not his legend. Bring It On Home is an excellent book and one of the rare biographies of a manager that's as interesting as the band they represented. Grant has always been an influential and controversial figure in rock history, but Mark Blake does a wonderful job at humanizing him and sorting through the stories and mythos in order to present who he really was behind the intimidating character clad in scarves, rings, and rumpled suits. For any fan of Led Zeppelin or 1970s rock, Bring It On Home is a great read about the successes and excesses of the biggest band and the biggest manager of that decade. I'm excited to announce that my newest book, A Win For Every Stitch, is due for release in December 2018. This book came about as an idea toward the end of the regular season when the Red Sox were preparing for their postseason run. If you're a regular reader of this site then you'll know that I wrote a recap for every game the Red Sox played in 2018. From Opening Day all the way to the final game of the World Series I followed the team and wrote about what happened each day and my thoughts at the time. At the very end of the season I was left not only with a sense of accomplishment but with an idea: wouldn't it be nice to collect all of my recaps into a running diary of the 2018 season and make it into a book that I could have as a personal memento of this incredible season? It would be something I could go back and enjoy any time. I then realized it might be something that other Red Sox fans may also enjoy. That led to the idea of making it into a full-fledged book and publishing it in order to share it with the rest of Red Sox Nation. - The book contains every one of my game recaps, from Opening Day in late March all the way to the final game of the World Series. I haven't changed anything other than fixing typos, grammatical errors, and cleaning up some clunky sentences here and there. I didn't add any hindsight or revisionist history, so what you read from me on a particular day is exactly how I felt in that moment. That makes for some interesting reading, especially with the ever-evolving perceptions of the team and certain players which changed for the better (or in some cases, worse) as the season went on. The total length runs around 350 pages. - There is a freshly written introduction in which I give a potted history of the Red Sox up to the beginning of this season as well as some more detail into what the impetus for the book was. I also touch on my own journey as a baseball fan and what the Red Sox have meant to me over the course of my life. There is an epilogue tying up the remaining loose ends from after the World Series (including the various awards and honors the team and players won in the weeks following winning the championship). I'm currently reviewing proof copies and finalizing the cover art before I'm ready to publish, but as soon as I have a release date and it's available for purchase I will announce it. There will be a paperback copy available for $19.99 and a Kindle e-book version for $9.99. I haven't decided yet if I'm going to run a promotion and offer autographed copies...it would depend on how many people are interested. Regardless, I'm really excited about this book and the opportunity to share it with other Red Sox fans. I always get a little nervous in the run up to a book release...this is my third book and it never gets easier. Still, I'm looking forward to sharing my passion for the Red Sox and the 2018 season with other fans via this book. Stay tuned for information on how to purchase a copy as we get closer to the release date...I think (and hope) that you'll enjoy this book! Whether you play baseball or softball, have kids that do, or coach a team one of the most basic and primary skills in the sport is fielding ground balls. It's one of the first things kids are taught when they put a glove on and while it's seemingly the simplest of skills, it can take a lifetime to master. Even at the highest levels of play, fielding grounders is a challenge not least of which because the ball can often take wild and unpredictable bounces. Because of this, grounders are something that everyone playing baseball or softball needs to practice fielding throughout their playing careers. The challenge, especially with younger players, is making that practice fun so that proper skills are learned through repetition. For the majority of my own baseball career I was a catcher so spent most of my time honing skills such as blocking balls in the dirt, catching pop ups, and calling (and catching) different pitches. When I played in college, I moved to right or left field and was more focused on tracking and catching long fly balls while trying to avoid crashing into the fence. Now as a parent I coach my four kids who play baseball/softball (including two who play year round travel ball). I spend a lot of my free time working with my kids both individually in our free time and also with their teams since I help coach them. Somehow a catcher like me fathered two players (my oldest daughter and my son) both of whose best position is shortstop...we're not sure what my youngest daughter will gravitate toward and my other daughter was a catcher when she played. I spend a lot of time with all of them working on hitting, fly balls, throwing, and of course fielding grounders. I've always been a firm believer in teaching a solid foundation of fundamental skills and making sure they've mastered those before building any advanced techniques upon that base. With that said, for a long time I had been struggling on how to help my kids field bad hops. As part of our routine, I would purposely hit them choppers or short hop grounders, but it became predicable and I couldn't find a good way to introduce more randomness to better simulate actual game situations. The solution came when I was attending a baseball camp with my son this past January. 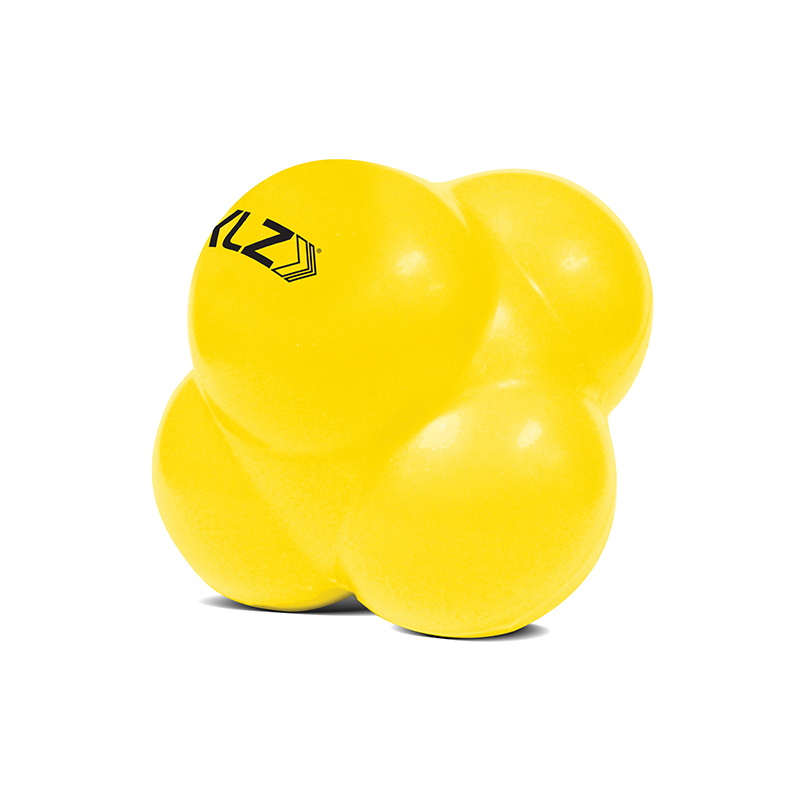 At one of the infield drill stations they had buckets of these lumpy yellow balls I'd never seen before. The drill was for the boys to field the balls as they took random bounces and hops and then throw them back to the coaches. 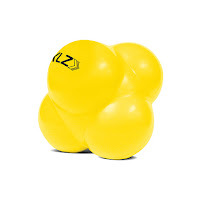 I thought these balls were cool so after the camp I asked about them and they directed me to Amazon. They kept calling them "Jeter balls" because I guess Derek Jeter had endorsed them or used them a few years ago, but I found them under the name of "reaction balls." I bought a couple of them and took them to the indoor facility where I work with my kids to use when we did infielding drills. My kids took to them right away and found them fun to use. All I do is have them get in their ready positions for fielding and roll the reaction ball to them. They then have to track it with their eyes while using proper foot- and handwork to field it cleanly as it takes it's random bounces. Sometimes this means they'll have to reach to forehand or backhand it, and sometimes this means it will take a strange hop in front of them that they'll need to block with their bodies. They both had a lot of fun working with it and still do; we've made drills with the reactions balls a regular part of our practice routine. It's definitely helped my two shortstops track and react to strange hops and that's led to fewer errors and excellent hand/eye coordination in practices and games. For $10 it's a really simple and fun way to improve fielding and the nice thing is you can even use it inside the house and practice barehanded during the winter. I always keep a couple stashed in my bag for practices and if you're a coach or have kids that play I'd definitely recommend getting one of these.